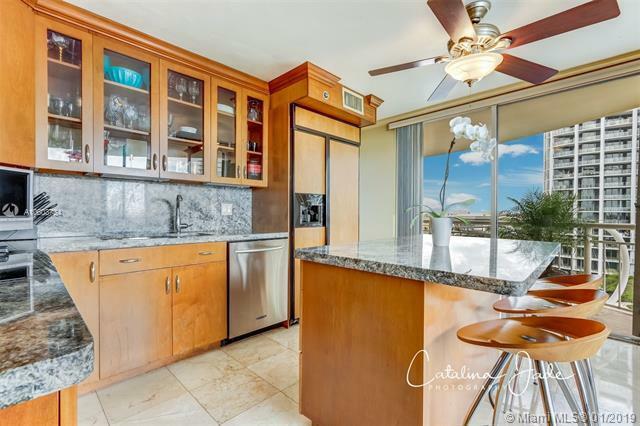 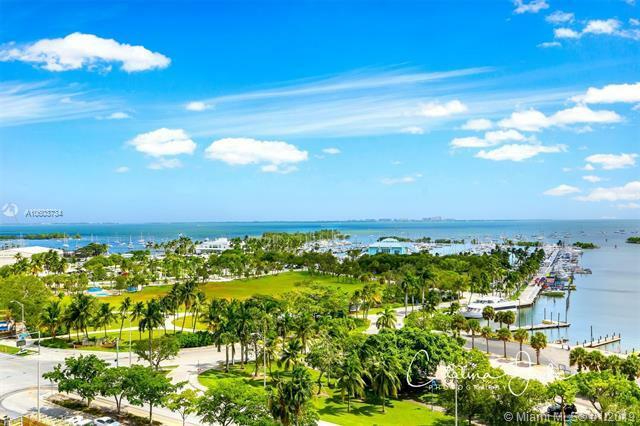 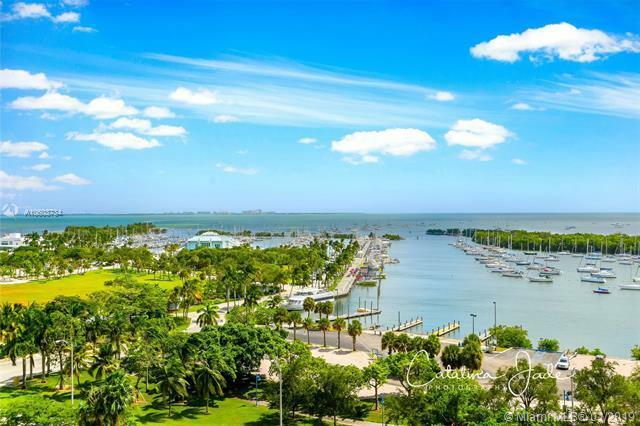 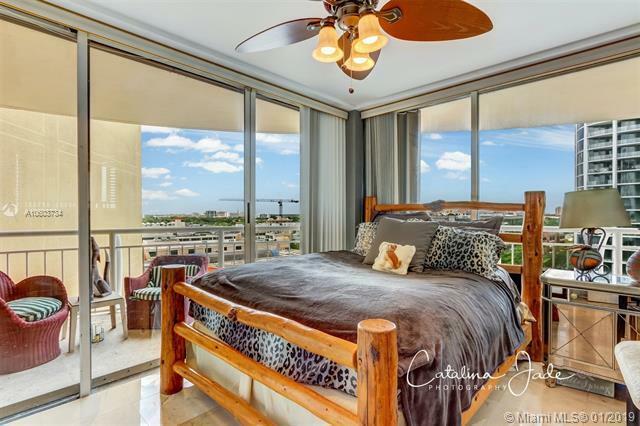 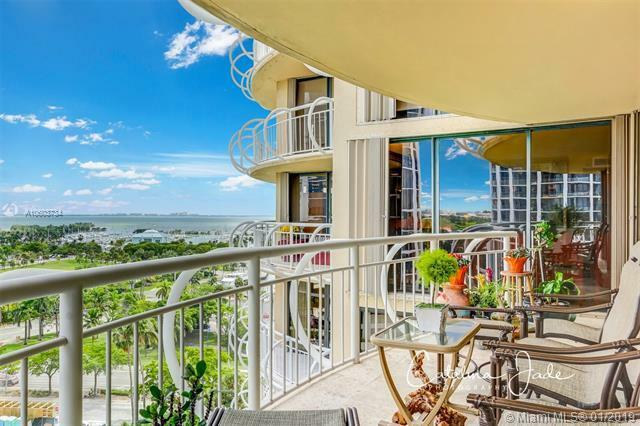 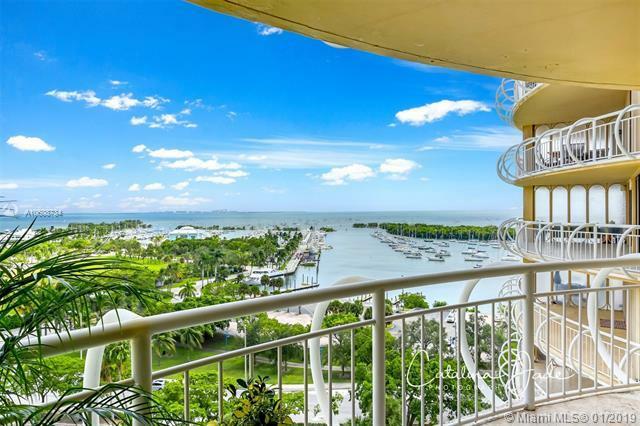 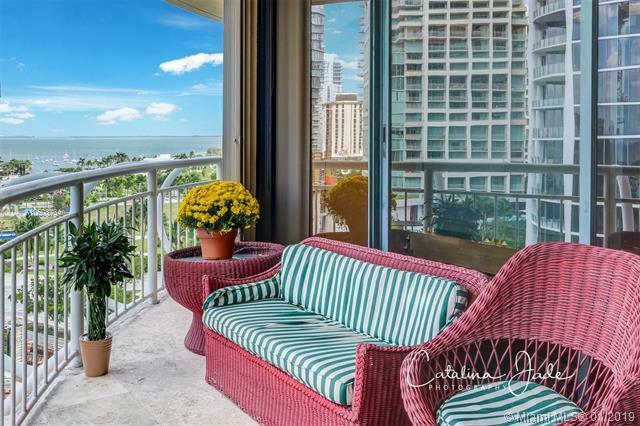 Sweeping views of Biscayne Bay, Coconut Grove & Coral Gables from this lovely residence in Grove Towers, a luxury waterfront building. 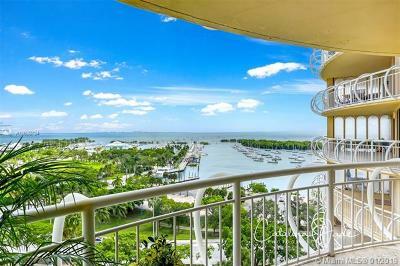 Located just steps from the villageâs galleries, boutiques, cafes and bayfront parks & marinas. 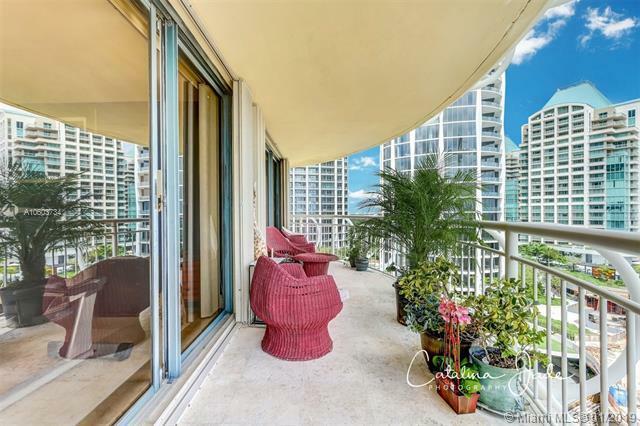 Light-filled living spaces with floor-to-ceiling glass, open to 1000+ SF of wrap-around terraces that encircle the unit. 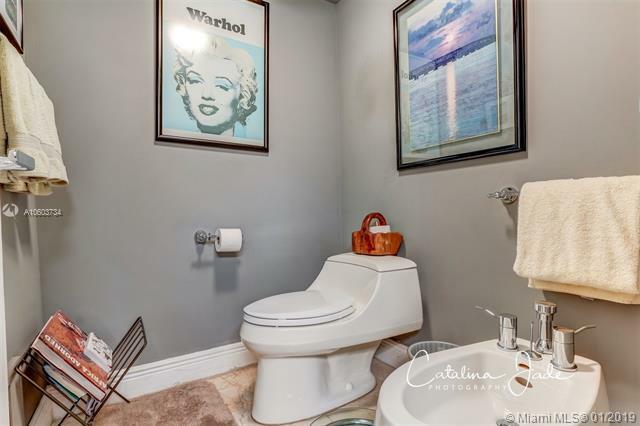 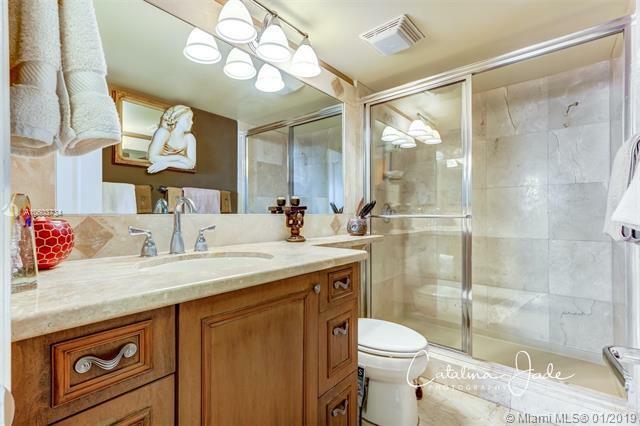 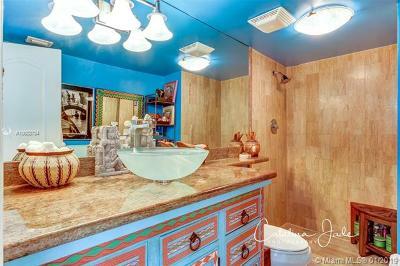 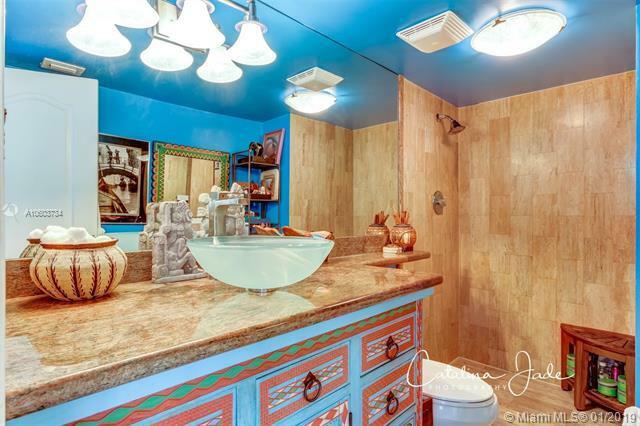 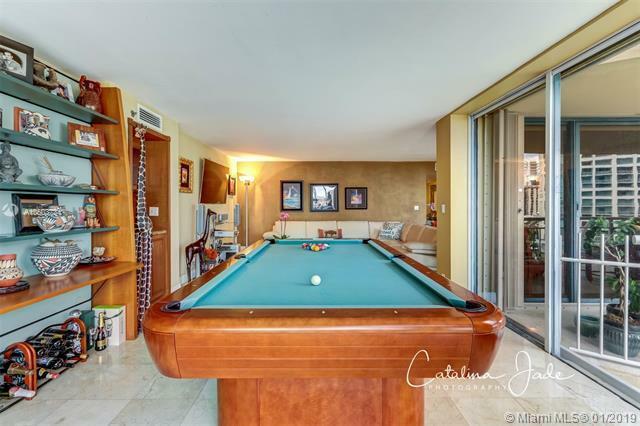 High-end finishes & fixtures throughout including custom built-ins & marble flooring. 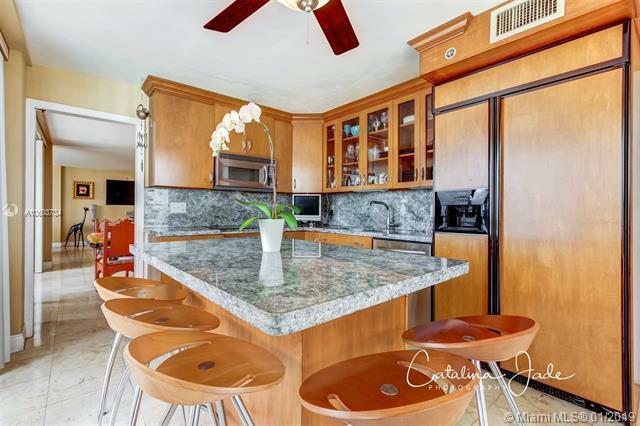 Stunning kitchen w/wood cabinetry, quartz countertops and breakfast bar. 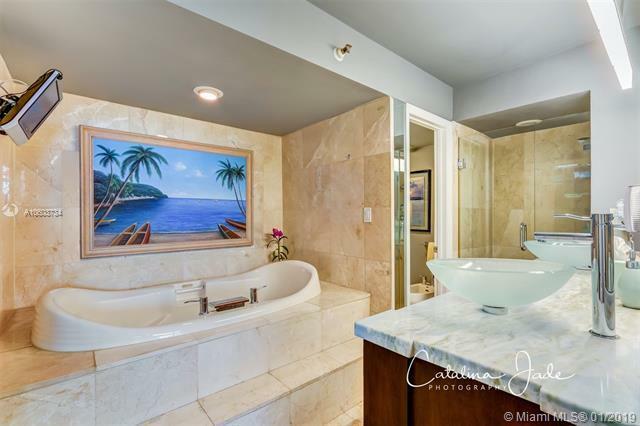 Expansive master suite features over-sized walk-in closet and a marble bath w/soaking tub & frameless glass shower. 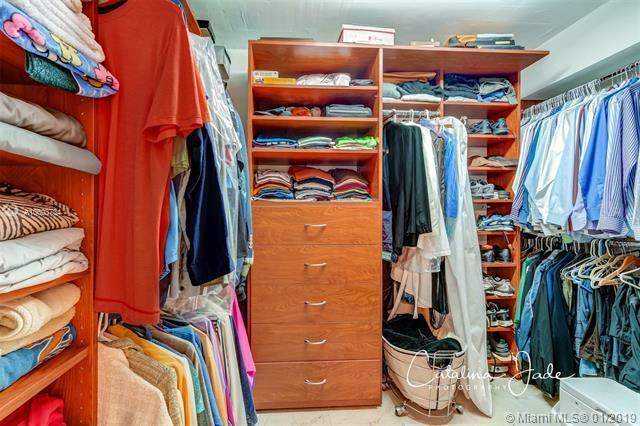 1st class building amenities: 24 hr. doorman, fitness center, pool, tennis courts & valet parking. 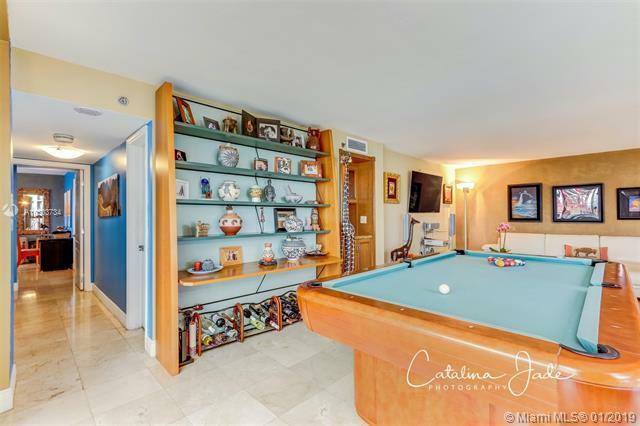 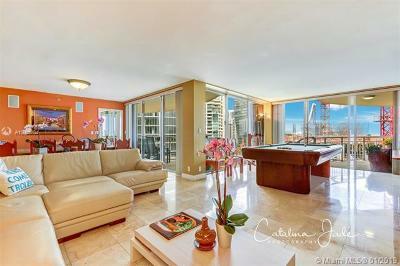 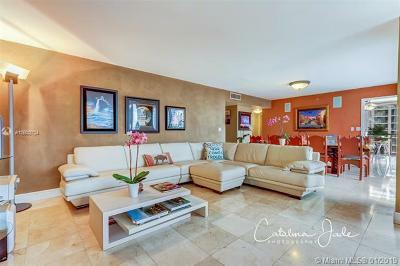 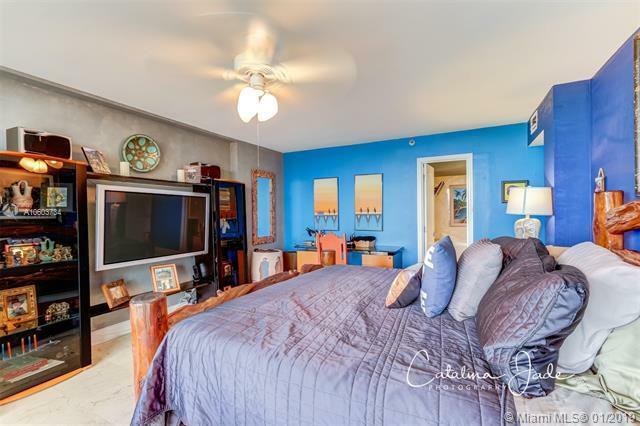 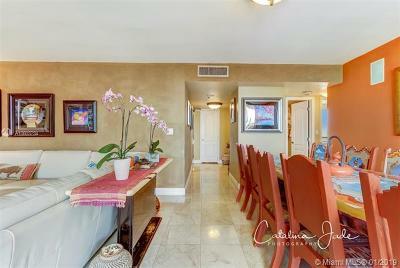 Minutes to downtown, MIA, Key Biscayne and the Beaches.